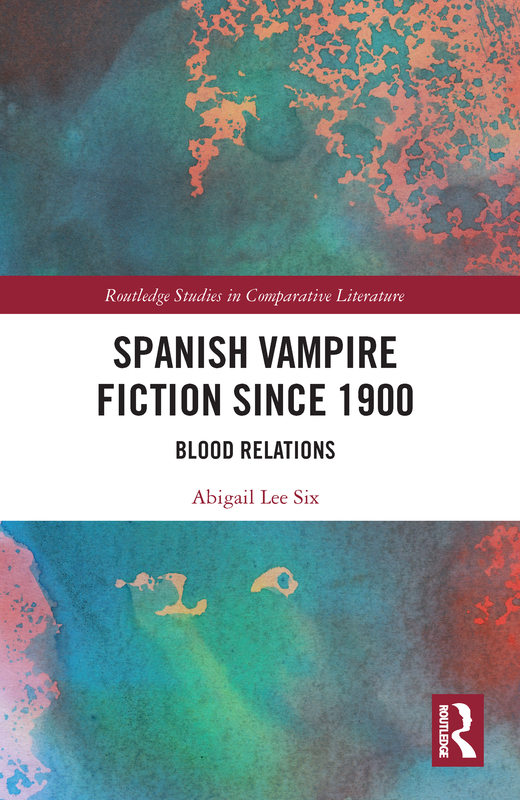 Spanish Vampire Fiction since 1900: Blood Relations, as that subtitle suggests, makes the case for considering Spanish vampire fiction an index of the complex relationship between intercultural phenomena and the specifics of a time, place, and author. Supernatural beings that drink blood are found in folklore worldwide, Spain included, and writers ranging from the most canonical to the most marginal have written vampire stories, Spanish ones included too. When they do, they choose between various strategies of characterization or blend different ones together. How much will they draw on conventions of the transnational corpus? Are their vampires to be local or foreign; alluring or repulsive; pitiable or pure evil, for instance? Decisions like these determine the messages texts carry and, when made by Spanish authors, may reveal aspects of their culture with striking candidness, perhaps because the fantasy premise seems to give the false sense of security that this is harmless escapism and, since metaphorical meaning is implicit, it is open to argument and, if necessary, denial. Part I gives a chronological text-by-text appreciation of all the texts included in this volume, many of them little known even to Hispanists and few if any to non-Spanish Gothic scholars. It also provides a plot summary and brief background on the author of each. These entries are free-standing and designed to be consulted for reference or read together to give a sense of the evolution of the paradigm since 1900. Part II considers the corpus comparatively, first with regard to its relationship to folklore and religion and then contagion and transmission. Spanish Vampire Fiction since 1900: Blood Relations will be of interest to Anglophone Gothic scholars who want to develop their knowledge of the Spanish dimension of the mode and to Hispanists who want to look at some canonical texts and authors from a new perspective but also gain an awareness of some interesting and decidedly non-canonical material.